Lenses are very important purchases. They generate the image that the camera then records. Do give your lens purchases full consideration before you make your decision. You will probably go for the convenience of zoom lenses. SLR zoom lenses come in three types: normal, wide and telephoto. Normal lenses portray the scene in the viewfinder as we see it. Wide angle lenses take a wide view of the scene and are used to photograph a whole building in limited space, or to produce dramatic landscapes. Telephoto lenses have a narrow view of the scene. They make a distant object appear large in your viewfinder and your photo. Wildlife is a typical subject. All lenses have their focal length in millimetres stated on the barrel. Below 35mm is wide, above 70mm is telephoto, and in between is classed as normal. Zoom lenses display their range of focal lengths, e.g. 18-55mm. Nearly all lenses have autofocus as standard. 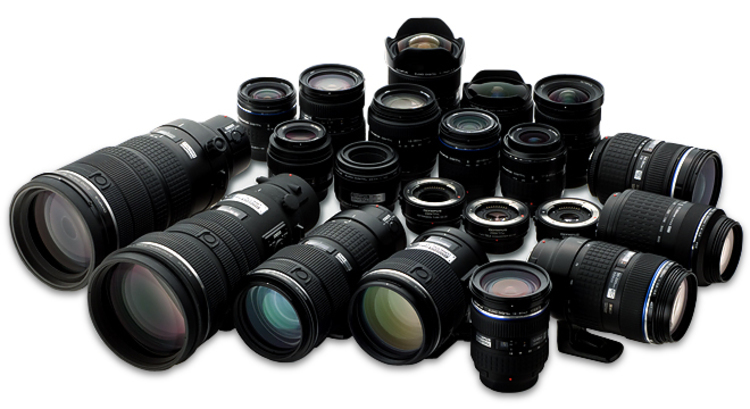 All in one superzoom lenses are tempting but they are limited in their performance. They zoom from very wide angle to telephoto, but they have lower optical quality and a poor maximum aperture. They are difficult to handhold without camera shake. You might not use your superzoom much after you buy more specialist lenses. A combination of a large maximum aperture and a high level of optical performance makes premium zoom lenses expensive. Colour is optimised with special multi-coatings on the glass, which also reduces lens flare from bright lights. But you get what you pay for. Be wary of lenses designed for amateur photographers with a minimum aperture above F18. As a general principle the smaller the aperture the greater the depth of field, so your landscape should appear sharp throughout. However the effect of refraction will degrade your image at very small apertures. F14 might do a better job.